You can’t really beat a good breakfast recipe can you? We like cereal but I would eat one every day if I could! 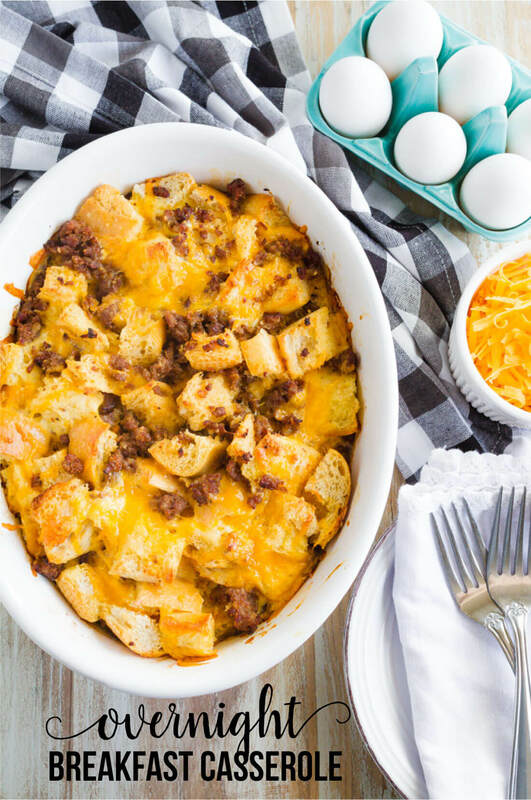 This is a super easy overnight breakfast casserole recipe that you’ll refer to again and again. 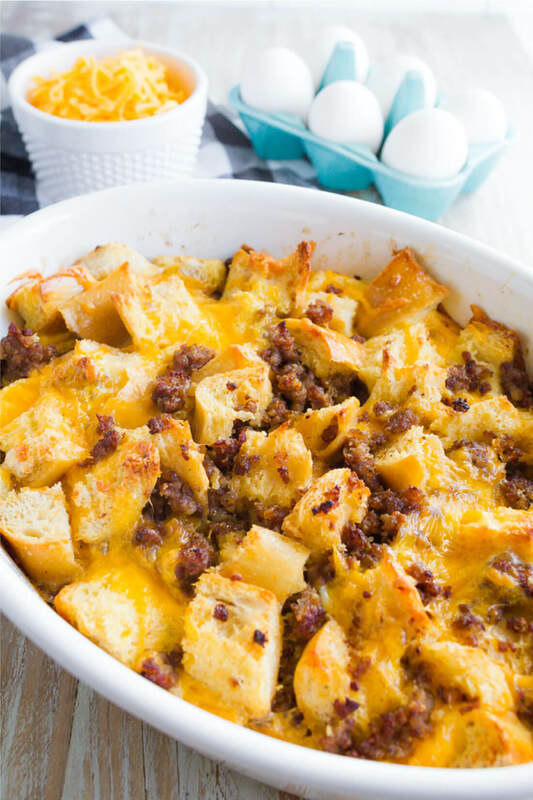 I love love love breakfast casseroles. I don’t make them too often because I don’t usually think far enough in advance to make it happen. But this one is right up there with French Toast Souffle. So good! It’s savory and has all of the good stuff in it. 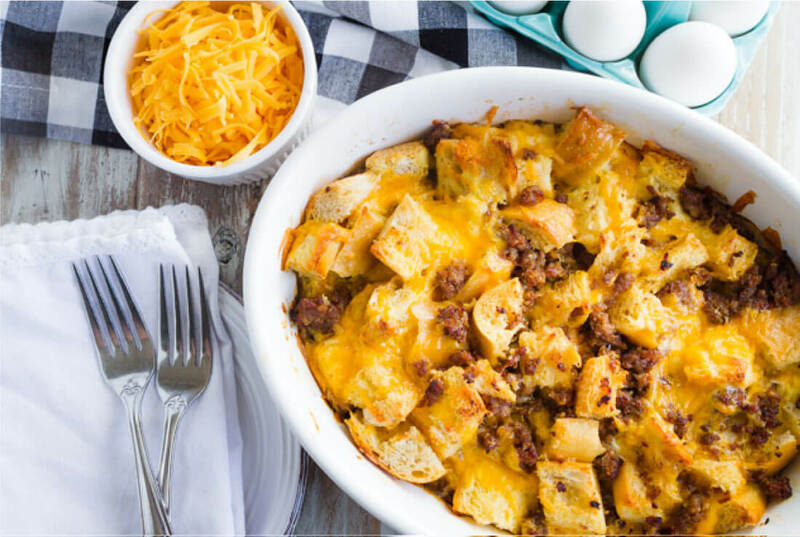 There are all kinds of types of overnight breakfast casserole recipes. Some are savory, some are sweet. Most of them taste great with very little work. 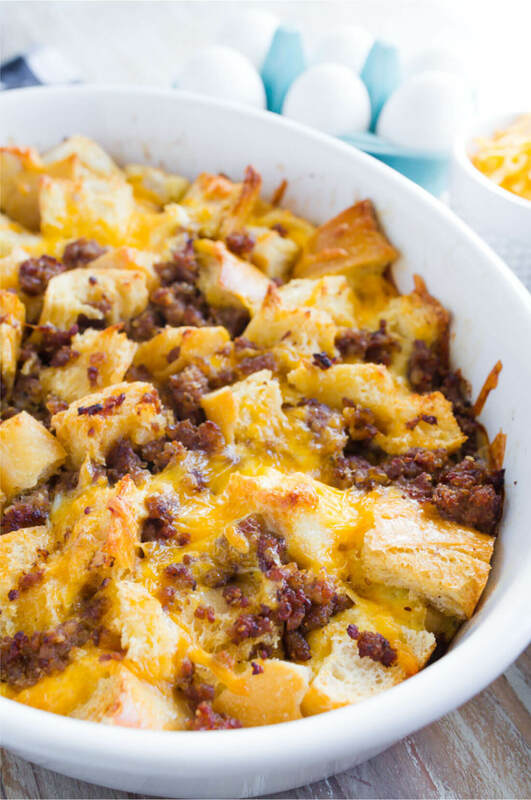 My boys love it because it’s nice and hardy with sausage and bread and cheese in it. They like the heavy stuff like that. A couple of family members added some syrup to the casserole to make it a little sweet! 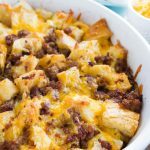 This Overnight Breakfast Casserole is made the night before - so the next morning you just pop it in the oven for a delicious hot breakfast! Fry sausage, chopping into small pieces; drain. Cube bread and add to a 9 x 13 inch pan. In a separate bowl, lightly beat eggs then mix in milk, cheese, dry mustard; season lightly with salt and pepper. Pour egg mixture over sausage and bread; lightly fold until all the bread is moist. In the morning, put pan into a cold oven and set temperature for 350 degrees for 45 minutes. Note: Soy milk can be substituted or cow’s milk.